Everyone in the world of automotive fandom has some sort of secret fantasy they would wish for if a genie popped out of the oil bottle. Racing disciples might like to go back in time and see a historic race win or famous circuit duel, old-school fans might dream of finding their model of choice wrapped in a plastic bubble with less than five kilometres on the dial, but I’ve always had one very specific automotive fantasy, and it was well and truly fulfilled last Saturday. 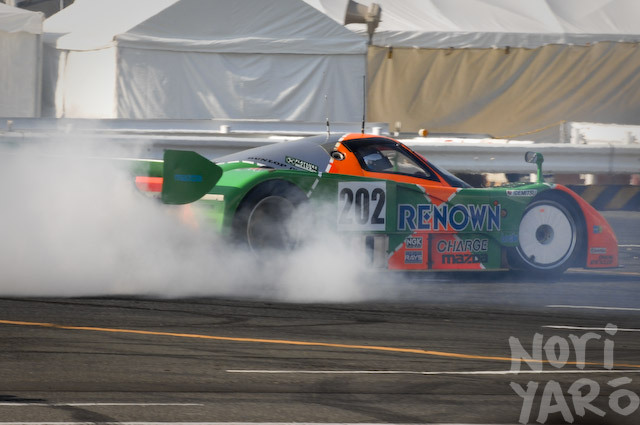 I saw a 787B doing burnouts.